Santiago Therapy Center is a rehabilitation facility that specializes in physical, occupational and speech therapy for clients, ranging in age from pediatric to geriatric, throughout the Tampa Bay area. More than 25 years ago, Dr. Jose Santiago, (h.c.) MS, RPT, CFS, built a family-owned practice that became the foundation for Santiago Therapy Center. Through integrity and consistently caring for his patient’s best results, the clinic has grown to address the changing needs of the community. With the addition of pediatric services and a major expansion of facility and treatment areas, Santiago Therapy Center is able to provide the best in post-rehabilitation services to patients of all ages suffering from injury or disease to restore function, improve mobility, relieve pain, and prevent or limit permanent physical disabilities. Founding President of the Puerto Rican Chamber of Commerce of the Gulf Coast of FL, Inc.
“Professional Business Man of the Year, 1993”, by Univision Channel 62, Tampa, FL. 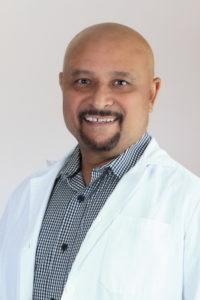 President and CEO of Suncoast Diagnostic Services, Inc.
Glyssel was born in San Juan, Puerto Rico and raised in Tampa, FL. She has been married for 9 years and is a mother of 2 children. Glyssel graduated from The University of Central Florida with a Bachelors in Organizational Communication and a Minor in Marketing. In 2005, she pursued her Masters in Business Administration and graduated from The University of Phoenix in 2007. After years in corporate America, Glyssel wanted to make a greater impact by joining her family’s business and helping it flourish to its maximum potential. For years Glyssel worked summers at the physical therapy clinic and saw the passion her father, Dr. Santiago, had. She heard the stories of his hardships turned accomplishments, and saw how he turned a one-man show into a beautiful orchestra. When the idea of expanding Physical Therapy Walk-In (PTWI) into Santiago Therapy Center (STC) came to mind, Glyssel and the team knew it would be great. More importantly, they knew, even with an amazing, state of the art facility, Dr. Santiago’s passion remained the driving force of what makes the center a success. At 5 months, Glyssel’s son and Jose’s youngest grandchild, was diagnosed with Hypotonia. He was unable to sit or hold himself up. As much as Glyssel and her family wanted to treat him at the facility, it was not equip to do so. This is when she and Dr. Santiago truly understood the need in the Tampa Bay area to provide for pediatric patients. Patients were being put on waiting list for months. After being urged by local hospital staff, they knew this was what needed to be done. After managing PTWI for two years, the expansion of services and the new facility build began. Glyssel managed and oversaw the entire construction, while also re-branding and marketing Santiago Therapy Center. She is passionate about patient care and ensuring the patients at STC get the service they need, when they need it. While a junior in high school, Kim’s father had an accident in which he lost his dominant arm. This tragedy, that affected her family, allowed her to find out about a field in which she now has grown to love. Kim would drive her father over the summer to outpatient occupational therapy (OT). During this time she met an OT that took time to talk to her about her plans after graduation as well as their shared love of OT. In 1998 she graduated from Penn State Mont Alto with an associates degree in OT. Kim started working with adults and geriatric patients as a COTA. She began working in pediatrics as part of her continued education. In 2010 Kim graduated from Misericordia University with a Bachelors and Masters Degree in Occupational Therapy. During her fieldwork placements, she experienced HIPPO therapy, hospital settings, inpatient rehabilitation and pediatric outpatient/early intervention. After she married, she and her family moved to Florida in 2014. 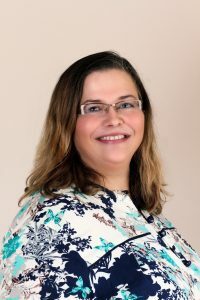 Once in Florida, she grew her passion in working with children and gained more experiences in pediatric school/preschool settings as well as home health setting for both adults and pediatrics. Kim finds joy assisting patients, with multiple conditions, improve their functioning in order to enable improved independence with self-care and transfers in a play, school or work setting. Her love for her family and Occupational Therapy continues to grow and we are happy to be a part of it! Welcome Kim! Mrs. Cecilia Belcher was born, raised, and educated in San Antonio, Texas. 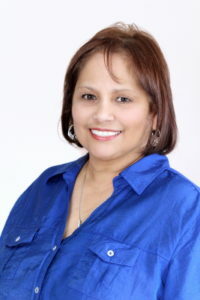 She received her Bachelor’s degree in Communication disorder in 1996, a Master’s degree in Speech Pathology in 1999, and a Masters in Business Administration in 2001 from Our Lady of the Lake University, in San Antonio, Texas. Her interest in Speech Language Pathology stemmed from her son’s diagnosis of Autism and has considered the treatment of those diagnosed with the disorder a personal interest over the past 17 years as a speech pathologist. Over her career, she has worked in various settings, including the public school system, contract therapist, home health therapy, nursing home, hospital, inpatient and outpatient rehabilitation, and until July of 2016 owned and operated a contract speech therapy services company for over 10 years. She had continued to display a commitment to the field and gone above and beyond continuing education mandates for licensure, having twice been awarded the ACE Award – Award for Continuing Education, a formal recognition of professionals who have demonstrated their commitment to lifelong learning from the American Speech-Language Hearing Association. 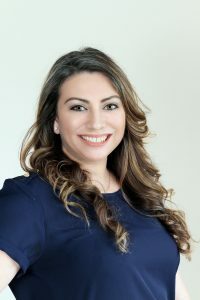 She joined the Santiago Therapy Center in March of 2017 and is looking forward to serving the Tampa community as well as enjoying all the fishing and natural attractions in South Florida with her husband and two dogs. Jose Jr. was born and raised in Tampa, FL. In 2005 he enlisted with the United States Army with the Preventive Medicine Unit. 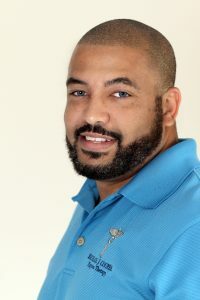 He served in Operation Iraqi Freedom in 2007 as a Preventive Medicine Specialist. He finished his tour as an E5. In 2009 after his Honorable Discharge, Jose Jr. began his studies in Physical Therapy Assisting and graduated in 2011 from South University. His admiration for his father, owner and Chief PT of Santiago Therapy Center, Dr. Jose A. Santiago (h.c.) MS, RPT drove him to pursue his career. His love for fitness and watching his father help thousands of patients through the years reach their rehabilitation goals and seeing the impact one on one care can have on a patients mind set, gave him the drive to pursue PT. Together they have brought experience and youth to STC. Patients request “Tony” not only for his excellent care but his personable and outgoing personality. Michael was born in El Paso, Texas. He is married to Director Glyssel Santiago Cooper and his a proud father of two children. As part of a military family, he was able to experience life in Germany as well as across the United States. In 2005 Michael enlisted with the United States Army as a Preventive Medicine Specialist. He served in Operation Iraqi Freedom in 2007. In 2008, Michael’s Passion for PT grew when he injured himself while on active duty, forever altering his passion of running with the United States Army. He became involved in his rehabilitation process and found inspiration in helping other injured veterans and post operative patients. 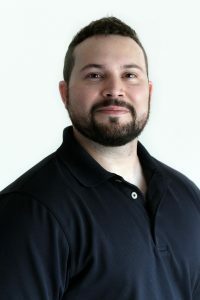 In 2009 after his Medical Discharge, he moved to Tampa with his wife and began studying for physical therapy assisting, while still undergoing physical therapy himself. During his education, he was given the opportunity to intern at various therapy clinics, with hands on experience in orthopedics, spinal care, sports injury rehabilitation as well as pediatric care. He graduated in 2011 with his PTA degree and began working at PTWI, now STC. He has worked under the tutelage of Dr. Jose A. Santiago, (h.c.) MS RPT since graduating. Vanessa was born and raised in Tampa, Florida. At a young age, she began serving her community and working with children. She has served for over 6 years in places such as hospice, local churches and high schools. In 2013 she resumed her academic carrier and graduated from The University of South Florida with her Bachelors in Social Work. With this career choice she had the opportunity to intern at big brothers/big sisters where she took on the role as a case manager. She saw how impressionable children are and the need in our community for positive role models. In 2014 after receiving her BSW she was promoted at her job and in 2016 she was given the opportunity to manage the front office of Physical Therapy Walk-In, now Santiago Therapy Center. Vanessa is passionate about helping, empowering, and motivating others. She loves her daily interaction with patients and watching them progress, day after day. The highlight of her day is being able to interact with the pediatric patients. Jessica was born in Trenton, New Jersey and is a proud mother of one daughter. At a young age, Jessica observed her mother work with special needs children in the class room. She saw the interaction and the impact the therapist had on these children and their families. Her need to serve grew as she volunteered at The Cincinnati Children’s hospital for 3 years before deciding to enter the world of therapy. In 2015 she interned with Florida Hospital as a COTA on the rehabilitation floor. She experienced patients recovering from strokes, automobile accidents, back surgeries, traumatic brain injuries, Parkinson’s disease, and much more. 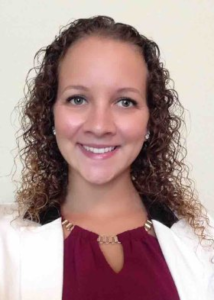 In 2015 Jessica re-discovered her passion for working with pediatrics when she interned as a COTA at a school in Bradenton. She experienced children with Autism, Down Syndrome, hypotonicity, hypertonicity, gravitational insecurities, behaviors deficits, and more. She experienced how vulnerable children are, and how important it is for children to receive early intervention. In 2016 she graduated from South University with an Associates Degree in Occupational Therapy. 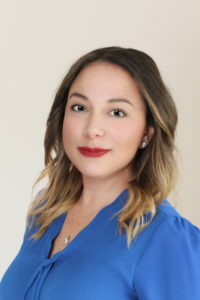 Jessica started her COTA career with Santiago Therapy Center in 2016. She holds a special place in her heart for pediatrics, and strives to see progression and joy through the children. Margarita was born in Santurce, Puerto Rico. She is a proud wife and a mother of 2 children with three growing grandchildren. She graduated from the University of Puerto Rico in Humacao with her degree in Physical Therapy Assisting. In 1994, Margarita and her family moved to Tampa, FL. That same year she met Dr. Santiago (h.c.) and began working at Physical Therapy Walk-In. After a few years she also graduated from Suncoast School with her degree in Massage Therapy. Margarita has been with Dr. Santiago (h.c.) for over 22 years and continues to be a wonderful part of his growing therapy practice. She has worked both with home healthcare patients as well as out-patient rehabilitation. Our patients truly enjoy “Margi” and her vast experience in both physical and massage therapy. When she sees her patients progress, she finds joy in knowing she was able to help them reach their goals.